Ubiquitous in our lives since the dawn of civilization, glass is certainly not a new material. But, thanks to changing attitudes and a significant boost from technology, it is experiencing a rebirth as a major player on the interior design landscape. Expanding its product range to accommodate the demands of today’s savvy interior glass market, the industry features forward thinking, sophisticated, state-of- the-art glass design elements that can be stunning large or small-scale additions to any interior. With so many innovative and exciting options for integrating glass into interior design, today’s interior glass conversation has shifted dramatically. Architects and designers are no longer asking if glass should be included in their concepts. Instead, they are deciding just where it will best enhance a project’s aesthetic and function. In fact, while former front runners are losing ground in interior design, glass is continuing to conquer new areas of application. In office buildings, reception desks and entrance lobbies made of glass create a classy, modern ambiance. 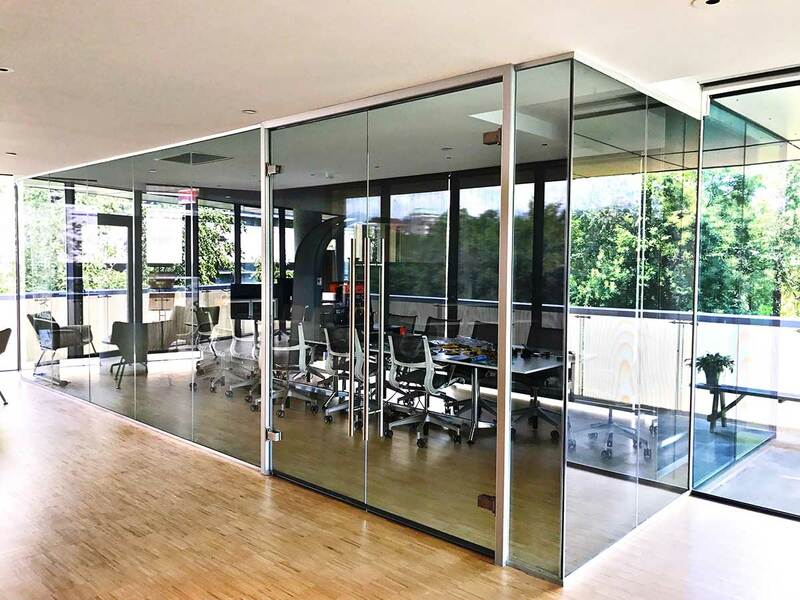 Open plan offices with meeting rooms defined by glass walls emphasize a climate of transparency and sharing. Large scale glass wall décor adds warmth and beauty. So, where can interior glass be used? The answer is simple: As the most versatile of materials, interior glass can be used just about anywhere. The multitude of available material configurations allows for safe use in ceilings, walls and floors as well as stairways, revolving and sliding doors, wall mirrors, and shower enclosures. One of the main pros of interior glass: More glass means more light. Designers and customers want large expanses of glass with less framing for more light, unobstructed views, and a feeling of freedom and openness. It’s about defined 12 boundaries that don’t look or feel like walls. 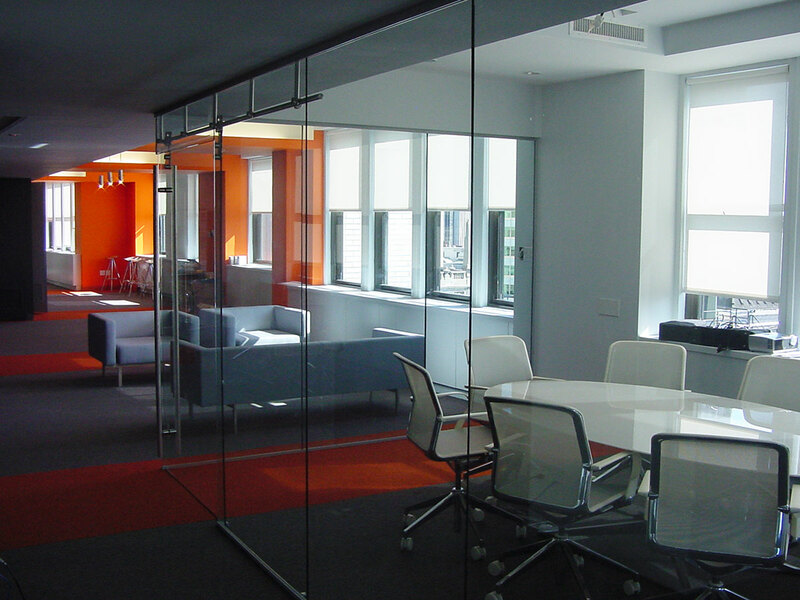 Increased use of interior glass also impacts energy efficiency. In hospitals, airports, universities and hotels, providing natural light deep into functional spaces will save energy as it provides comfort. New processing methods and modern designs are enabling manufacturers to offer a glass portfolio that is more diverse than ever before. 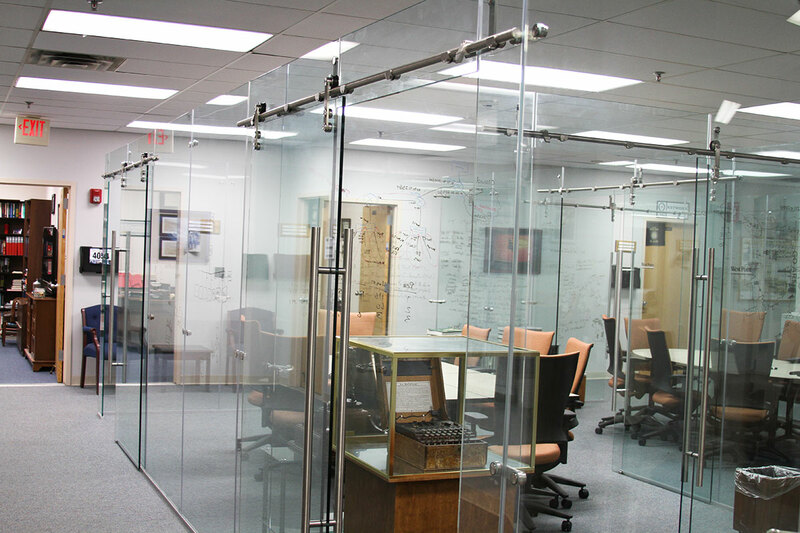 From tempered or laminated safety glass to sandblasted glass, to screen printing and digital printing, options for decorative glass are unlimited. Innovations in smart glass technology mean consumers can have their light and their privacy too. At the flick of a switch glass doors or walls can go from transparent to translucent. As the interior glass market clamors for glass design to create interiors that are both inspired and special, the science of glass continues to evolve to rise to the challenge.